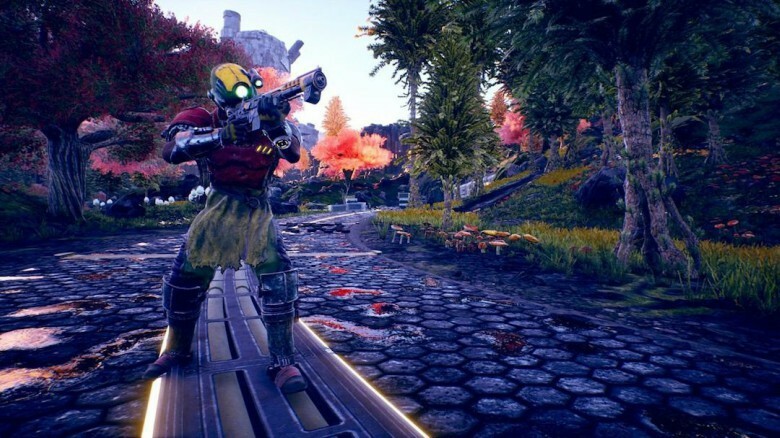 The Outer Worlds Release Date May Have Leaked on Steam | Nerd Much? Currently set to release sometime in 2019, we’ve slowly gotten more and more information on The Outer Worlds. Now, it’s possible that the release date may have been leaked on Steam. The rumored launch is August 6, 2019. It’s no longer posted but checking the Steam database reveals the most recent changes made to the game’s page. Among those changes include a “Steam Release Date [for] August 6, 2019” posted on February 22, 2019. After a few hours, the date was removed from the page and is now back to its general 2019 window. As reported by DualShockers via the Steam DB page, you can see the edit for yourself in the screenshot below. Like with any rumor, a number of things can be true here. It’s possible that August 6th is the real launch date for The Outer Worlds and the date was removed because the information wasn’t meant to be revealed yet. It’s equally possible that the page was simply being experimented with and the person editing wrote August 6th as a brief, generic placeholder. Neither the developer or publisher of The Outer Worlds have revealed a release date for the game. Like with any rumor, it could easily be false. We won’t know for sure until one of the companies comes forward to discredit the rumor or to announce the game’s real release date. Considering the title’s recent increase in coverage, it’s possible the team is gearing up to make an announcement sooner rather than later. The Outer Worlds even graced the cover of this month’s issue of Game Informer. But, for now, we’ll just have to wait and see. Published by Private Division and developed by Obsidian Entertainment, this sci-fi, action RPG is the studio’s most anticipated release of the year. The Outer Worlds is scheduled to launch on the PlayStation 4, Xbox One, and PC sometime in 2019. Check out what CONFIRMED video game release dates we know about here.